This entry was posted on Saturday, March 17th, 2012 at 09:57	and tagged with ireland, Irish, Irish writers, Lismore, St Patrick, writing and posted in Uncategorized, Writing. You can follow any responses to this entry through the RSS 2.0 feed. I have this theory that it is the Celtic tradition of passing on tales orally that’s given the Irish such a gift. Happy St Patrick’s Day. That’s an impressive looking list of authors. Happy St P’s! My ancestors, John and Sarah McInally, emigrated to Ile-du-Grand Calumet, Quebec, Canada from Northern Ireland in 1781. Some of their descendants later came to America. So I guess there’s hope for me as a writer. Happy St. Patrick’s Day! Thanks for a great post – I think you’ve nailed why Irish writers were always so good with the language. It isn’t a stretch to say that all the best English writers were Irish… I believe that the tax laws also had something to do with the twentieth century flowering in the emerald isle – writing income wasn’t taxed. A practical and mundane matter, but one that’s given the world so much to enjoy. Excellent salute to the holiday. Speaking of Irish lit, I read “Cal” a long time ago. Does anyone remember the author? Loved it, Sue. 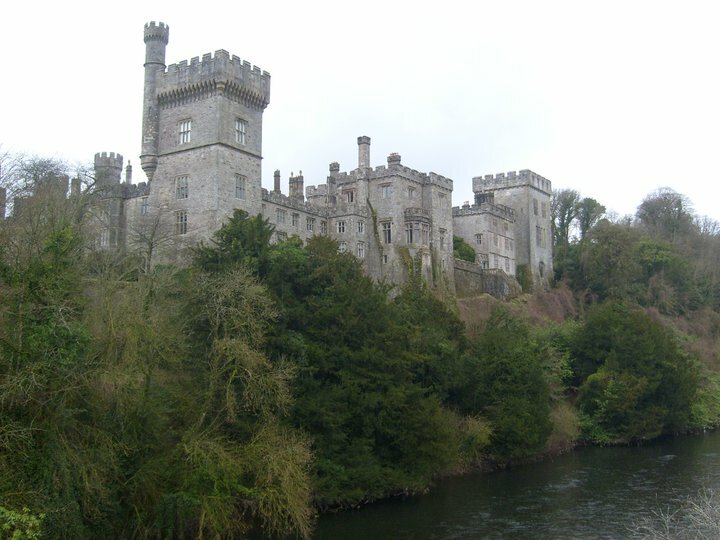 And loved Ireland and Lismore castle. Even wore shamrock earrings today though I’m definitely not Irish. Maybe I’m wannabe Irish! Hey, U2 are awesome song writers! I can feel the damp! Brrr! Whatever the reason, Sue, I found such a welcome for my writer’s heart and mind and soul in Ireland! Belated Happy St Patrick’s Day!